Please come and welcome our new Youth Director, Br. 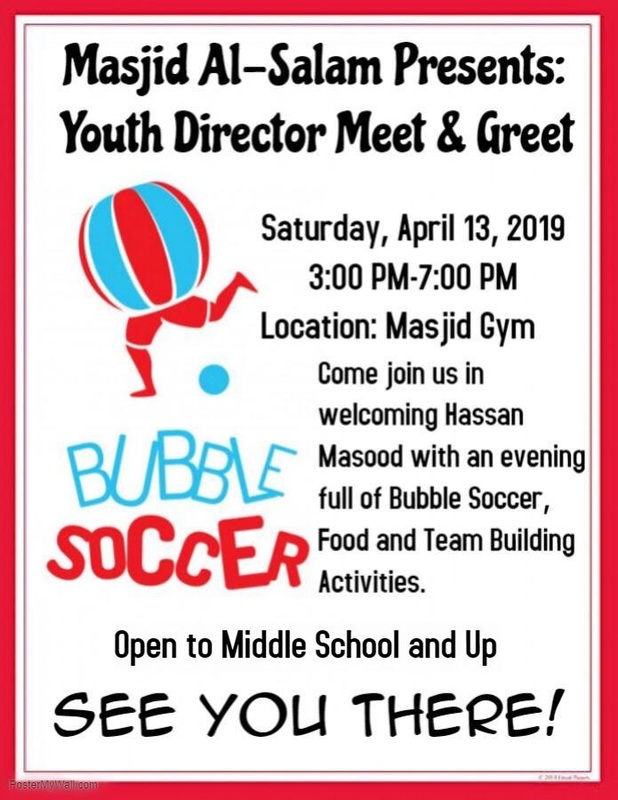 Hassan Masood, with an evening full of Bubble Soccer, yummy food, and team building activities! Open to youth from Middle School and up.